Lemon Boy is a lemon color and sometimes are shaped like a lemon but for the most part they are round. They are flavorful and 6 to 8 ounces in size and grow on indeterminate plants. Outstanding Features: Good resistance to Fusarium Wilt, Verticillium Wilt, Root Knot Nematodes and several other common diseases that affect tomatoes. 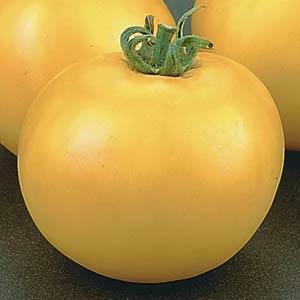 Click here to buy Lemon Boy Tomatoes direct from www.buygardenvegetables.com.